This past year turned out to be amazing. I reached new goals I didn't anticipate and it ended on a note so wonderful I couldn't even begin to thank you all enough! That's right, it's because of all of you! So, I want to show my gratitude for all of the support I have received by giving away a new pattern everyday for the entire month of January! All you have to do is come back to this post everyday & find out what the pattern is. Then head over and grab your copy! **IMPORTANT NOTES: Each pattern is only free for one day. The code will expire at 11:59 pm EST on the day it is posted. Before you make the purchase, make sure the code has gone through and the cart reflects "FREE". There will be no refunds for patterns purchased accidentally. Also, make sure you are logged in to your account, so your patterns can go to your library. Updated to add: There are a lot of people taking advantage of this giveaway and a lot of people have missed one pattern, two patterns, or maybe even five or more patterns. I understand that it's a bummer to miss out on some of them, but I won't be able gift missed patterns. If I do it for one person, I have to do it for everyone that missed out, and I just would not have the time to catch everyone up. I do apologize for this and I hope you all understand. 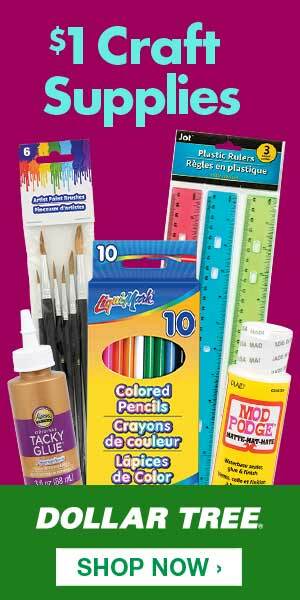 Thank you all so much for joining is on this fun & exciting giveaway. Thank you for becoming a fan of my page and more importantly, of my work! 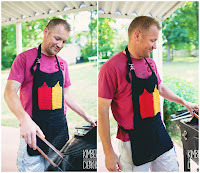 I've had a blast reading all of your comments and seeing all of your projects, I hope you continue to share with me! I just cannot believe we are at our final pattern already...which means we are already one month in to 2016! >>>All of the past patterns from this giveaway (excluding today) have been set to 70% off from now through Friday, February 5th! Use code: MISSEDIT16 <<< Woohoo!!! This is my absolute favorite design, so it was no surprise to me that it got voted in as today's pattern. The adult size won by one point over the child sizes and the Mrs. Claus Basket took 3rd place. I hope you enjoy it as much as I do! 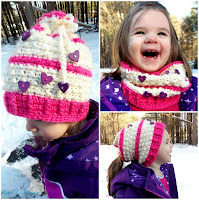 Get this pattern free TODAY ONLY (1/31/16) using code: WINNER2016 . Make sure to click the heart and add it to your favorites! 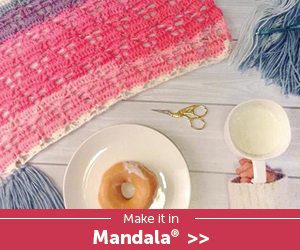 CLICK HERE to get today's free pattern. What patterns are you hoping to snag for free? Leave a comment and let me know! 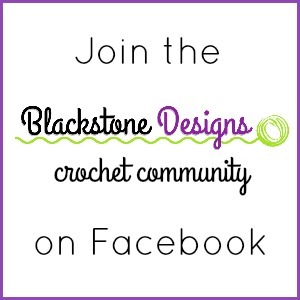 Or drop by the Blackstone Designs Crochet Community on Facebook and place your vote! 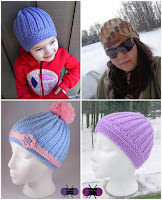 The pattern that receives the most requests will be the free pattern on the last day! Don't forget to pop over to my Facebook page HERE and become a fan! Thank you for hooking up with me today! Happy New Year! thank you! Happy New Year- I'd like to see the Mt. Katahdin and the Heart Print Drawstring bag. Wishing you a wonderful 2016! Windmmill Tote is my pick. Happy New Year & thank you so very much for celebrating with us!!! I vote star struck ear warmer, rolling waves purse, lucky charms leggies & counting sheep mask. I would love to see Chilly Cables Headwrap or the Market Shopper. Thank you so much for the giveaway and Happy New Year to you! 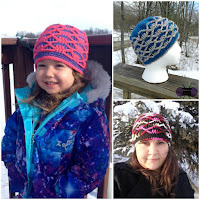 Thank you for the X-treme Beanie Pattern! Happy New Year! Any of the coatigans or blue denim hoodie. I already had these on my list. Thank you so much and Happy New Year! I just love all of your patterns!! Thank you very much! Happy New Year to you and your family. Thank you for sharing with us...you are such a sweetie...very kind-hearted! 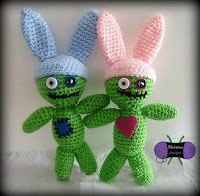 I have started crocheting for my Christmas gift list already. I will have 20 grandchildren this year come May so I thought I had better get started. I love your patterns and have several already. 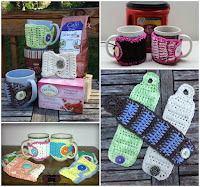 I would love to snag the snowman mittens or either your mitten or stocking gift holders. May you have a prosperous New Year! Hi thank u so much i have fell in love with so many of your patterns i would love to snag the umbrella stroller organizer or/and the lakeshore coverup. It was really hard to narrow it to just those two lol. 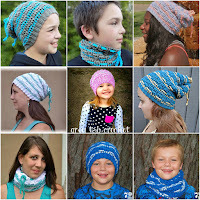 Would like Newsboy Hat pattern and a few more. I would like to see the Mallory skirt pattern. Thank you so much for your generosity.. I love your patterns they are all great. I like best Santa Pants Gift Basket, Gradient Blocks handbag, Angel Tree Topper and Christmas Eggles. 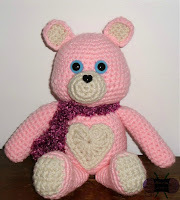 I would like to see Lovey Bearington for one there are a lot I like. But you are so generous in sharing for free, I would like any of them. Thanks for your generosity! Would love the chilly cables coatigan! Thanks! The Christmas eggles are so darn cute! Thank you for the pattern . 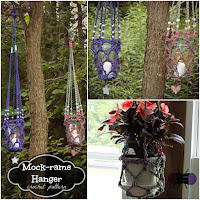 Love making new things for the granddaughters ! Thanks for the freebie(s)! Some mentioned patterns in their comments that I didn't see, but sound interesting! 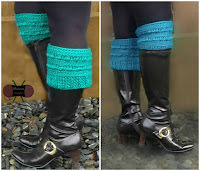 Just looked the 84 that are on ravelry. Do you have more somewhere else? Anyway, I'd like to see the Christmas Egg Sitters, Christmas Shelf Sitters, Erillin sundress, Gradient Blocks Handbag, Izzy unisex Scarf, Shopping Cart Cover, Uncle Sam' Girl Sundress and the Woodland Animl Earflaps Hats. How generous of you. Happy New Year. Your Chilly Cables Coatigan has always been my ABSOLUTE favorite!!! It's so gorgeous! 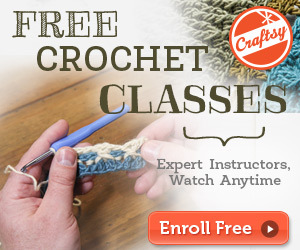 It'd be AMAZING if that ended up being the free pattern!!! Thank you!! 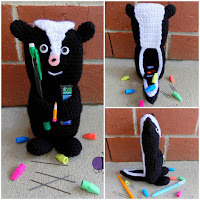 Skunk Pencil Holder is my pick!! Thank you and Happy New Year!! Thank You! 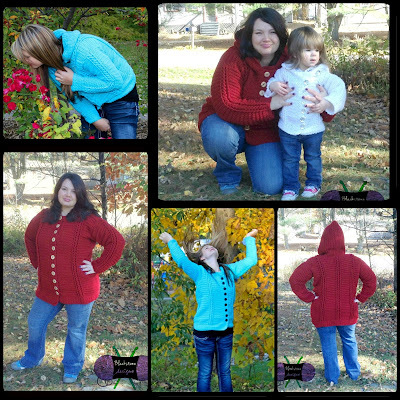 So many beautiful patterns to choose from, but I finally decided on the Midnight Cardi ... Would love to make this for my Granddaughters! Every time I click to go to the pattern, it asks me if I want to share pictures with family and friends. How can I get access to the 1-1-16 pattern? Thank you for the patterns you are too kind. Thank you for the freebies I greatly appreciate them very much. 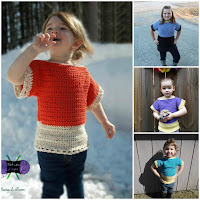 Thank you for the free patterns! I'd love to see Christmas Eggles free please. all your patterns are so nice thank you for the pattern. What a wonderful way to start off the New Year.....that of being so generous.....sets a great example for the rest of us. Thanks so much! thank you. I have added this purse to my "must make 2016" list. Thank you so much for sharing with us and all that you do. What an amazing, and generous, thing to do. Thank you so much. Love your styles. Would love it if you would consider adding the Rose Fairy Tutu dress. Thanks again. Thank you ... Happy New Year. Thans a lot! Happy New year and thanks for the present! So cute! Thank you so much for your kind heart! 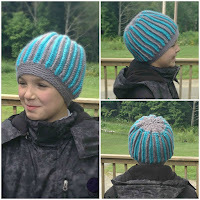 Would LOVE to see your Cameron Slouch as one of the patterns you offer. You have SO many that I really love, though, and you are just so sweet to do this! Thank you for making January fun! Thank you SO much for your generosity...your patterns are gorgeous!! Thanks! My daughter really wanted to make one of those. Thank you so much! My vote goes to the Elf Pants Gift Basket! Thanks! I'm loving the adult chilly cables coatigan and gradient blocks handbag. I'm hoping for the counting sheep mask. Thanks for doing this. This is fun! Thank you sooo much! It's people like you that make the world we live in a better place! I love the gradient blocks handbag!! 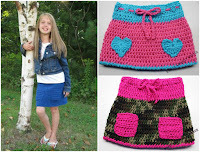 Sonya, thank you so much for sharing your wonderful patterns! NEWYEAR16 I anted the flower slippers but I didn't know where to put the code I already ticked LIke. Your work is beautiful! Thank you for sharing your talent with us! I can not wait to start making the flower slippers today! 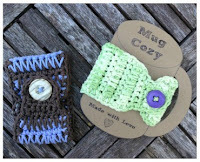 Just found your site and love the 31 pattern give away. Sorry to have missed the first 4. 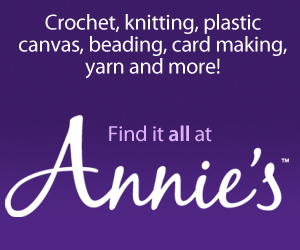 As I am just looking at all your beautiful creations snagging any pattern would be a thrill for me in 2016.
thank you so much. this really is helping me get thru a crazy work week knowing when I get home I can see what you are sharing today! Thank you so much for all the patterns. You have amazing ones. Thank you so much for 31 days of beautiful patterns!! I vote for either Snowbobbles Christmas Stocking or Mrs. Claus gift basket. Mrs Clause gift pants and counting sheep mask. Thank you and bless you in 2016. Easter Pants pattern for final free pattern (or anytime), please. 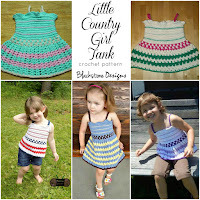 Just found your page a few days ago... love that your sharing patterns. 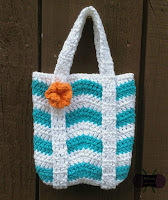 I missed out on the little Waves Purse and thought maybe your last day instead of posting a pattern you could allow us to be able to get an already pattern that we may have missed. Cant wait to see all your others. Thank you again for sharing. Thank You So Much for sharing your awesome patterns with us! My fingers are crossed for the Star Struck Ear Warmer. Thanks for sharing! 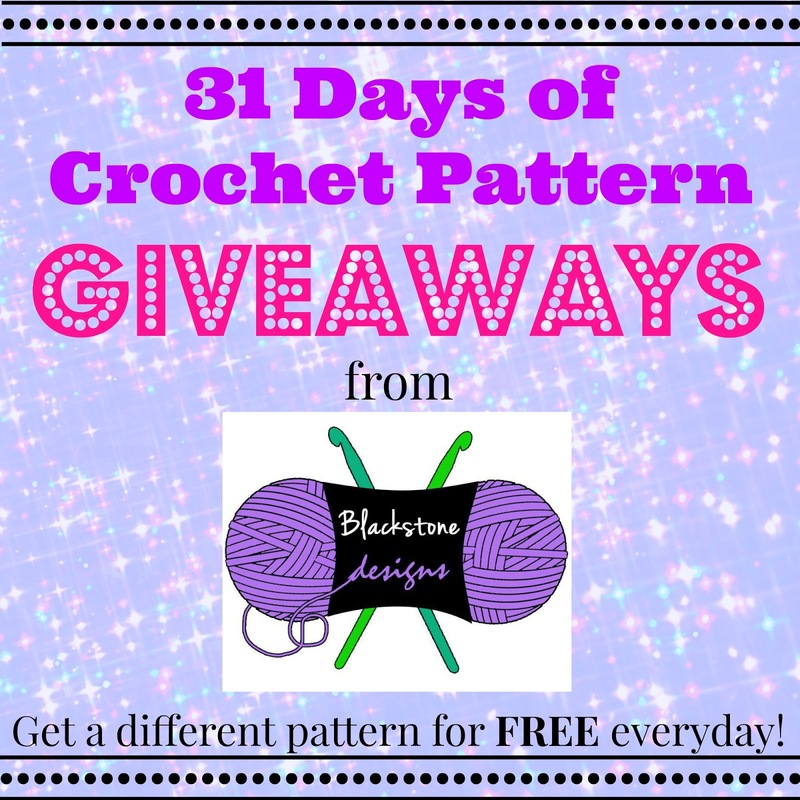 love all your patterns and give aways this month and your patterns Hope I don't miss it if you give away the lake shore coverup....my granddaughters would love it. I'm unable to receive anything via/from 'feedburner' therefore even tho it states that I'm subscribed to ur blog - I never receive anything :(( from you/it or from ANY other blogs that use feedburner -- I just found out about ur giveaways from Sheri (Frogging Along) blog so I missed out on ALL of the above patterns - would LUBTA be able to get the Rolling Ways Purse pattern, if at all possible - TY & I'll bookmark ur site to make sure I don't lose it or lose out on the remainder of the giveaways - crafty regards! Thank you so much for these amazing designs! Would love to see the lovely lace sweater, the chilly cables coatigan (adult) and the chilly cables headwrap included! You have such an amazing talent! Thank you for doing this but tonight we have run into a glitch. 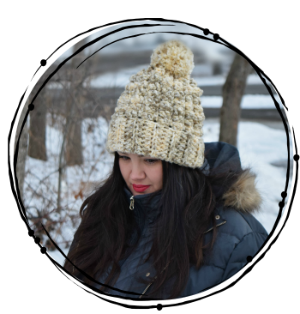 Code not working for knit like hat. 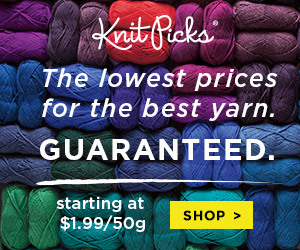 Ravelry accepts the code but does not alter the cost. the code isn't working for the "knit" hat. I was going to inform you that the code is not working for the knikt hat but it seems you have been notified! I will keep checking back as I am excited to make this for my sons teacher! Thank you again. COde not working and the Mug Love did not work yesterday. Weird, the code didn't work yesterday or today. Bummer!!!! 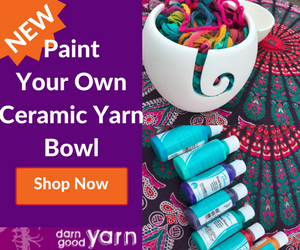 The coupon code doesn't work in ravelry! It isn't impossible to order for free the patern of this day? Thank you for your response. Hi, thanks for sharing all of these cool patterns. The coupon code for the Knit Illusions Skully(day 8) is not working. The code for the free pattern today doesn't seem to be working today. Thank you for the wonderful patterns you're sharing this month. Code not working for me either. It's worked all the other times. The code isn't working but appears that everyone else is having the same problem. 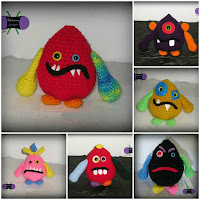 I wish you a great day and thank you for all the free patterns. Anxious for my weekend to begin so I can get some gifts made! Code is working now!! Thank you!! Thank you!!! The code is now working. And sending a shower of appreciation your way for all the giveaways. It is so wonderful to receive such generosity!!! 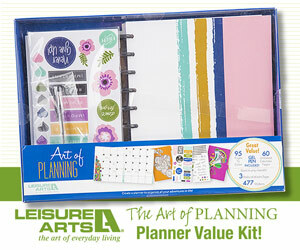 A fantastic creative way to start a New Year of projects!!! Darlene P.
CODE is WORKING. Thank you for the beautiful hat. Planning on using it to make a baby hat. THANK YOU SO MUCH! I look forward to each day to see what new treasure awaits us. I can't believe I missed yesterday some how. I almost feel like I am stalking your Facebook site to see what new treats await us. Again thank you for your generosity! It worked this morning! Thank you! Thank you. I love this hat. 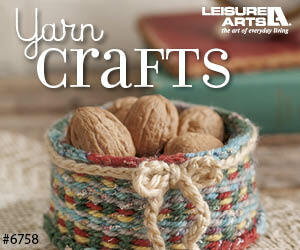 Thank you for all the great free patterns My wish list includes the Dachshund and the Heart Drawstring Bag. Thank you. 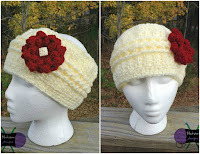 Today is still 1/8 for us and I tried to pick up the hat pattern earlier this am but the code didn't work. Anyone else have issues with it? I vote for the Goody Gumdrops coatigan. Thank you for sugar rush! Thank you so very much. Your patterns are wonderful. 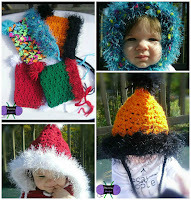 In my wish list (favorites) Chilly Cables Cardigan (child) but I have the adult also on my list, Jenny head wrap, Monster love earflap hat and Wooland animal earflap hats. Oh and the Monster Ice Pop Koozies. 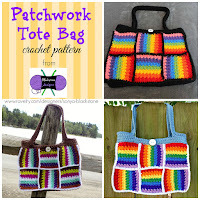 thank you - thank you - lotsa super kewl patterns & now 1/day also free for 365 days, yippee! I love day 9! I want to make Easter baskets for my grandchildren but I can't get NEWYEAR16 to work. :(.